We can tailor your travel for your group and fundraise at the same time. Howwww Awesome is this for your School, Church, Social Group & Family Reunion! 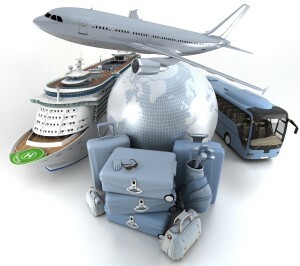 We will manage the entire group travel process for you, your family and any group. We will work with you, your representative and planning committee to plan an outstanding vacation for your group. Hotel Contracts, Group Air Contracts, Charter Bus, Tours, Banquet & Meeting Rooms, Group Travel and more! We will customize your group travel for your family, social group, church, school or just friends taking a vacation. We will find you the best possible deal and all our providers will price match deals or equal value and quality. If you’re looking for a unique way to say “I do” while surrounded by your closest friends and family members, a destination wedding in a romantic location is ideal. Having a destination wedding allows you to exchange vows in a stunning paradise. Whether you envision your ceremony on a white-sand beach, atop a cliff overlooking the ocean, within a botanical garden, or surrounded by the beautiful Hawaii scenery or French Alps Mountain Vacation, the options are limited to your imagination and financial situation. We can plan a destination wedding to fit your budget and destination. We plan Destination weddings that range from the luxury 5 star resorts around the world or close family events that are intimate and there are endless options to fit all budgets! So, stop asking for or getting another set of plates or a new toaster. Our Honeymoon & Wedding Registry is the way to go. Your Family and Fiends can gift to the Bride and Groom a world-class honeymoon or pay for your entire wedding. Our honeymoon registry is the best gift for the entire family to give! We have more clients make and save more money travel than small change in a Jar! Fundraising and FREE Travel! Personalized Services International Travel Agency Division will work with you to structure a fundraising and/or free travel program to achieve your desired results. This program is well suited for Schools, Charities, Non-profits, Religious Organizations, Sports Teams, Hospitals, Conferences, Social Groups & Clubs, Family Reunions, Wedding/Honeymoon planning and more. Not only does your group receive an excellent value, but you’ll also earn complimentary trips and have the ability to earn money. Personalized Services International, LLC has reduced rates for its clients who need to purchase Visa & Passport Services. Please visit our support page to find additional information about passports and how to apply for a USA Passport: www.cibtvisas.com/personalizedservicesinternational. If you need to finance your vacation we have several solutions for you and your group: Finance Your Vacation Services – Application. Travel Insurance to help secure your travel investment in an event of a emergency or travel cancellation. Do not be the person or group that wished they had purchased the insurance! Make Money While You Travel. Earn Commissions on Vacations. Travel Referrals for Cash, and Cash for Referring Customers are all ways we reward our customers and independent contractors for entrusting their friends, family and social groups to us via a formal referral program. We are eager to earn your trust and send your referral off on a exciting vacation. Did we say this is FREE! Our Home-based Travel Agent Program is a sure thing! We have agents making over $20,000.00 per month booking travel from home. Don’t worry. Successful Home-Based Agents in our program come from all walks of life: college grads, factory workers, stay-at-home moms, retired couples. All you need to succeed is the right attitude! 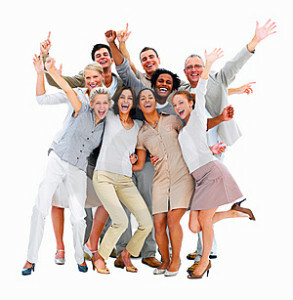 We provide you with travel industry webinars, discount business coaching and a weekly “Ask the Agency” conference call. No sales experience is required either. We offer you more than starting your own business; we offer you financial freedom and you work from home. Visit our Corporate website travel agent program webpage: Home-Based Travel Agent Webpage.